The Buderim Motor Inn is an oasis, placed on the summit of Buderim Mountain, at the heart of the beautiful Sunshine Coast in Queensland Australia. 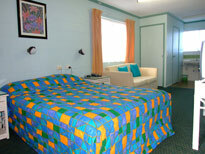 Offering great value, budget style accommodation to business people and families. Wireless internet is also available for traveling business people or for sending emails home! We have superb grounds, perfect for special occasions or for just relaxing. Buderim is at the heart of the amazing Sunshine Coast and makes an excellent centre-point for day trips. Room with a double and a single bed, ensuite, fridge, toaster, kettle and TV. Room with a double or queen bed, ensuite, fridge, toaster, kettle and TV.